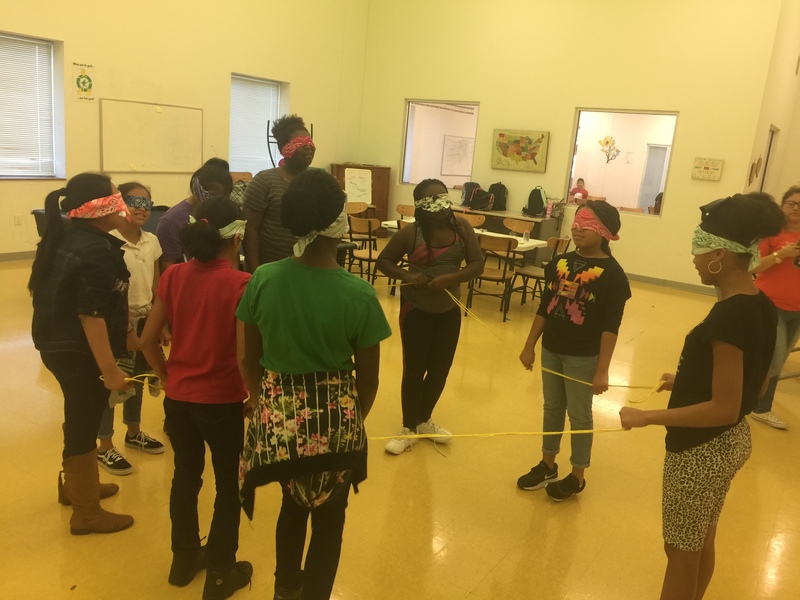 Nerdy Girl Success™ programs are for teen girls (grades 6 – 12) and consist of a wide range of interactive activities and experiences that enable them to build the skills and confidence that lead to their achievements, have fun and help make our mission a reality. We also offer community-wide workshops and personal growth opportunities for women throughout the year. 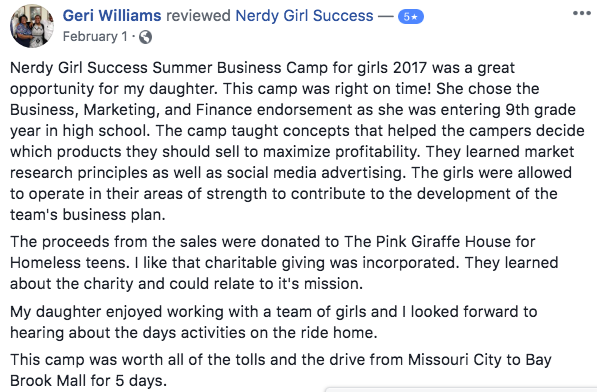 Summer Business Camp for Girls: created for 8th & 9th grade girls to have the opportunity to learn some of the fundamentals of starting and running a business. In this week long experience, we take the girls from concept to actually running a business for a day. (5 days 6hrs each day) Click Here for the full details and when it is being offered. Becoming a Girl-preneur: created for 10th – 12th grade girls who have an idea for a business they’d like to start and want to learn the next steps. 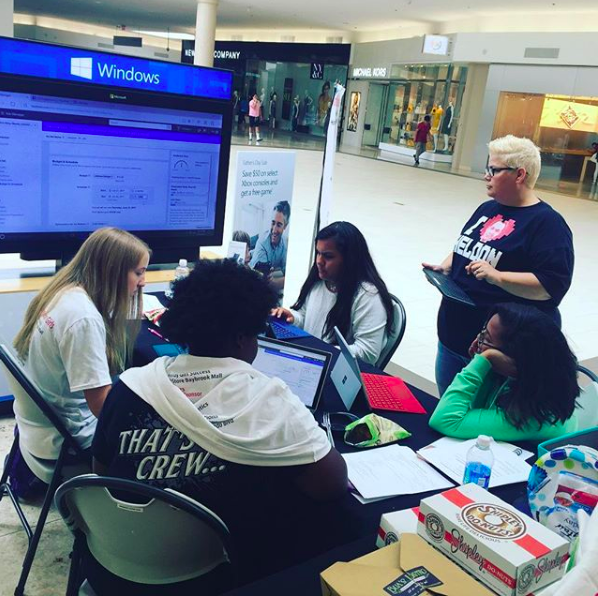 Girls are partnered with 1-2 advisors who will help them learn how to do market research, opportunity analysis and develop their business model into a coherent business plan. (5 days 6 hrs each day) Click Here for the full details and when it is being offered. Girls in Office: created for 8th – 10th grade girls who are interested in government and community activism. They will learn how local government works, how they can get involved and how to create the change they wish to see in their communities. (5 days 6 hrs each day) Click Here for the full details and when it is being offered. Interested in volunteering or bringing these programs to your campus?